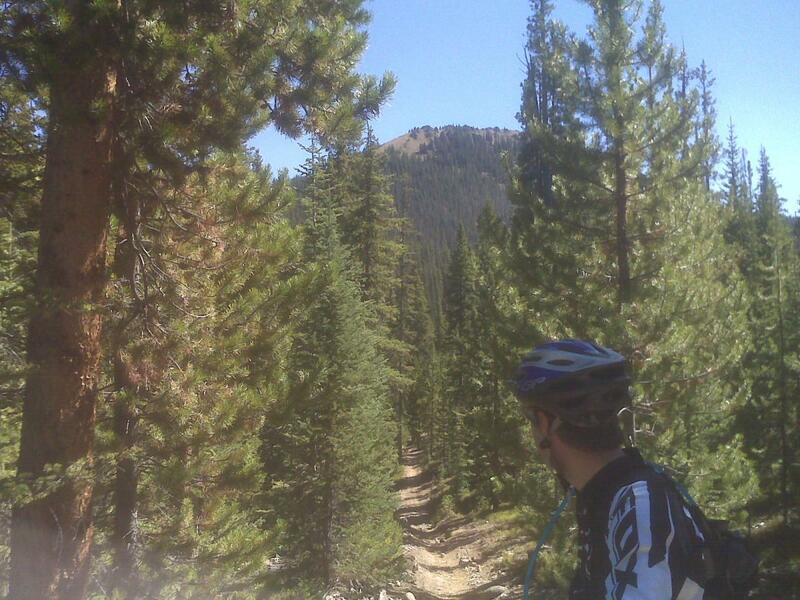 This trail is a sweet singletrack that allows you to get back off the beaten path. It is shared with dirt bikes but during the week, there is no traffic. Follow FDR 123-2B for a short distance and look for the Gilsonite Trail on the left. The trial begins on the edge of a large medow and follows it for approximately 1 mile where the trail climbs to an overgrown logging road (turn left) and meets up with a fire service dirt road. Turn right and follow this to a fork in the road, stay right and descend until the road ends. The singletrack begins again here and climbs gently through meadows and forest. Continue climbing for another 2.4 miles to the top where the Wolverine Trail intersects. Continue straight on Gilsonite and enjoy the downhill through a small canyon with a creek on the left. At 5.4 miles you meet up with FDR 123. Turn left to return to the car with a good hill climb on the road. This trail can be ridden as part of a larger loop with the Wolverine Trail for a total of 16 miles. Review: Entrance is well-hidden behind some trees. Easy to ride right on by. Lots of steep climbs and bike hikes. Some short, some very long. Quite a few loose rocks in sections. Quite a few downed trees in the lower section. 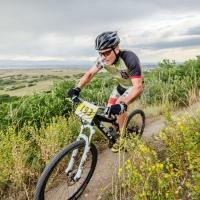 Gilsonite Trail MTB Trail 3.00 out of 5 based on 1 ratings. 1 user reviews.